More Eastern Canada Moose are shot in Newfoundland than any other state or province because Newfoundland has the densest population of Moose in the world. 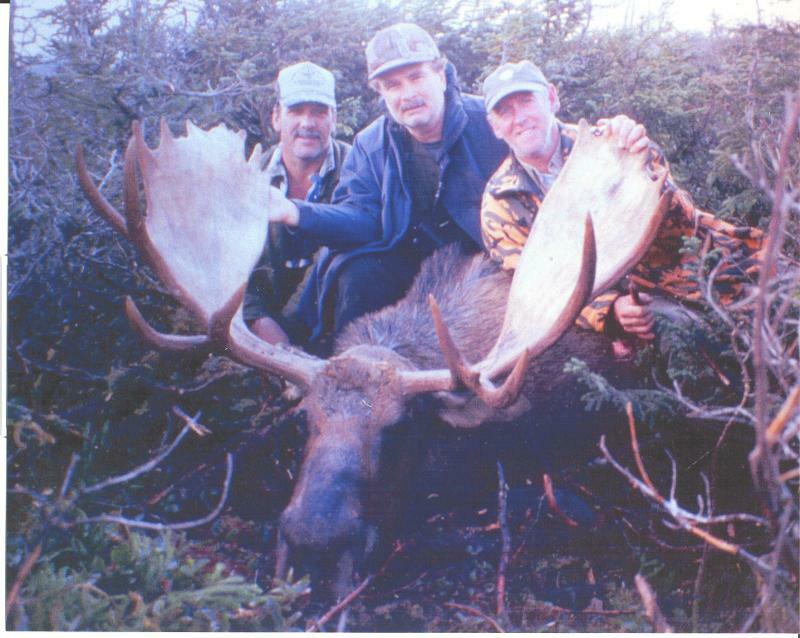 We have long touted our trophy Moose hunt by Gros Morne National Park in central-western Newfoundland, which is accessed only by helicopter. We book this area during the rut in late September - early October when lots of big bulls roam the hills and a 45 to 50-inch bull is a reasonable expectation ... in other words monster bulls for Eastern Canada. Because of the chopper cost, this hunt is priced at $8,650 for 2012, but is completely sold out once again. Now is the time to book for 2013! 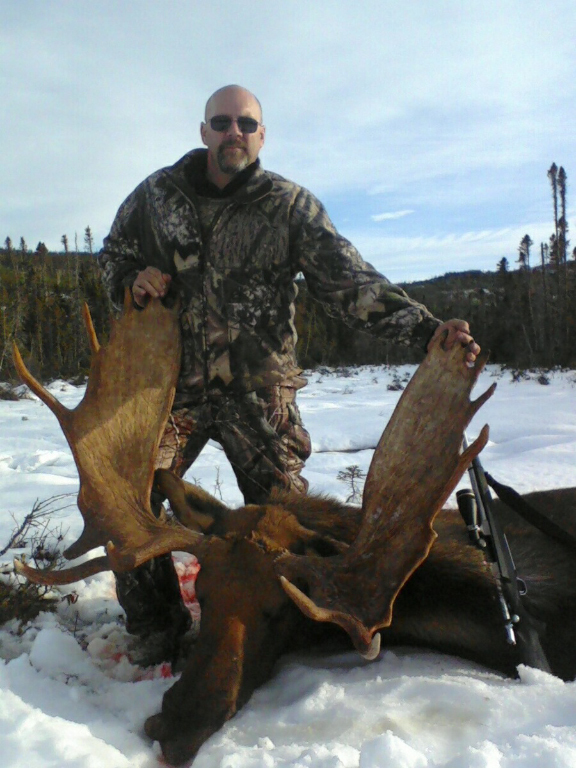 Our Woodland Caribou outfitter has several terrific areas to hunt Moose and he has so many permits that some are still available for this year! Best of all, the price is only $4,950 for 2012 or 2013. If you book now, he will throw in the non-resident license which ordinarily costs $335 Canadian + 13% HST. By the way, HST is included in all his prices. 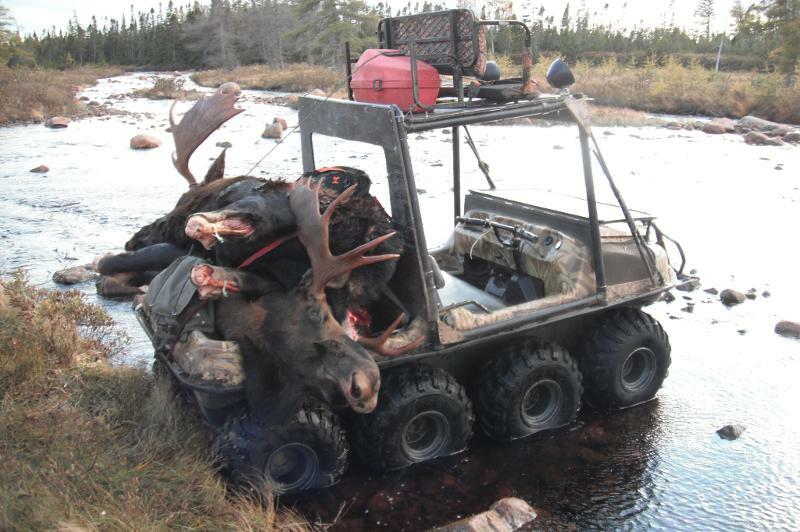 The Moose season this year is September 10 - January 8. We recommend September 10 - October 20 and then again November 10 - December 10 when the Moose start yarding up after the rut. But good Moose are also shot during the season outside of our recommended dates, so it is really up to your schedule. 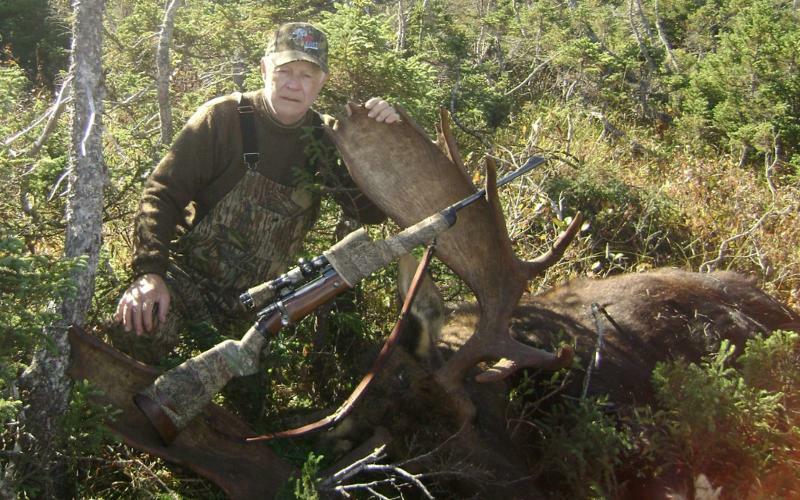 Ken Wilson and Lad Shunneson have hunted both Moose and Woodland Caribou in Newfoundland, but Ryan Wilson has not yet done so. 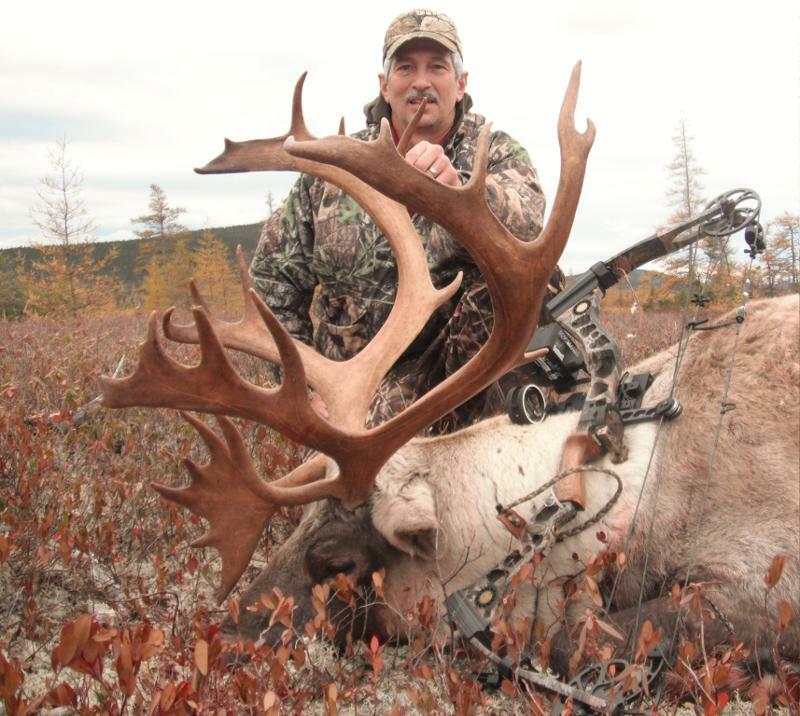 He is too late for Woodland Caribou in 2012, because we are sold out of all 16 tags. 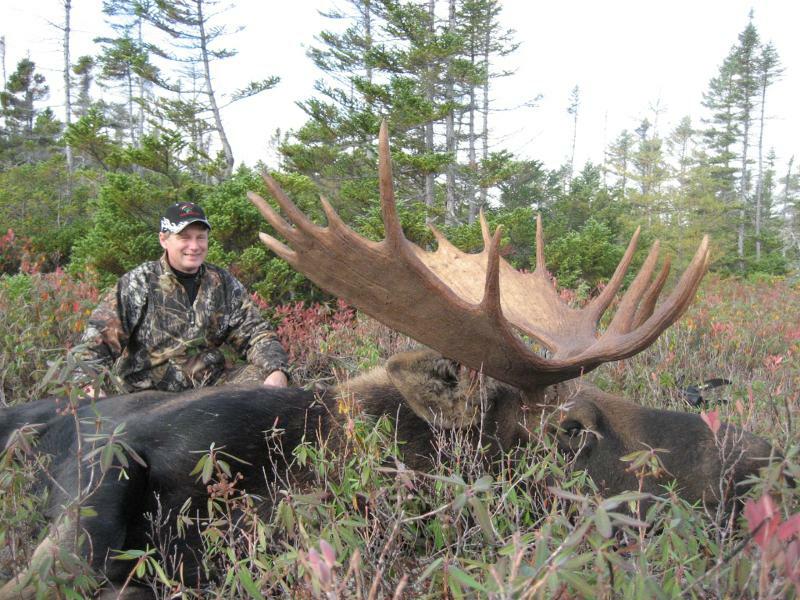 Ryan's schedule would not permit a September or October hunt, so he is signed up to hunt Moose November 11-18. His father will tag along to take video and photos. 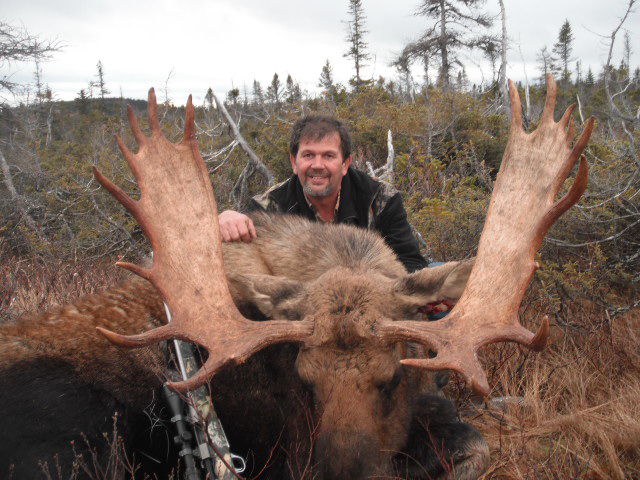 All the Moose and Caribou hunts are scheduled Sunday to Sunday because there is no Sunday hunting. 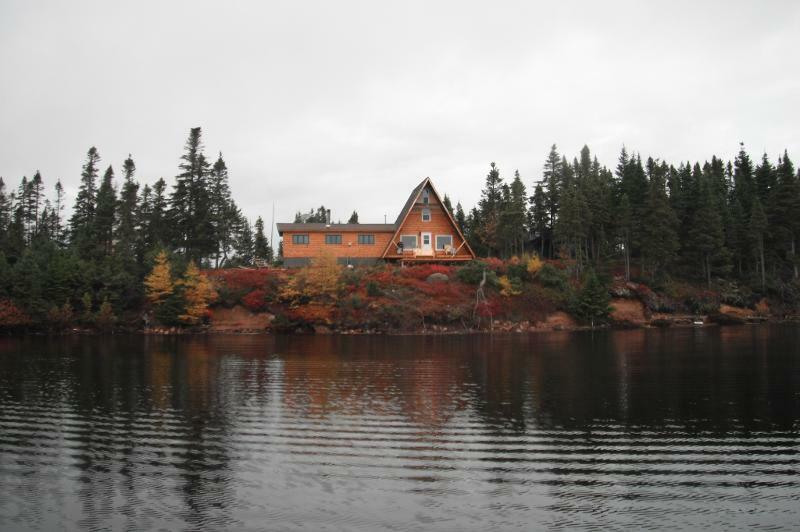 You arrive Deer Lake or Gander and are driven to "camp" Sunday and back the following Sunday. If you shoot early, you can opt to return to the airport early for a fee of only $200. Most hunters shoot early. The main reason is that there is so much game. Another reason is that, even though the hunts are 2x1, you get around in Argos so you see lots of country before you slog the bog for your final stalk. 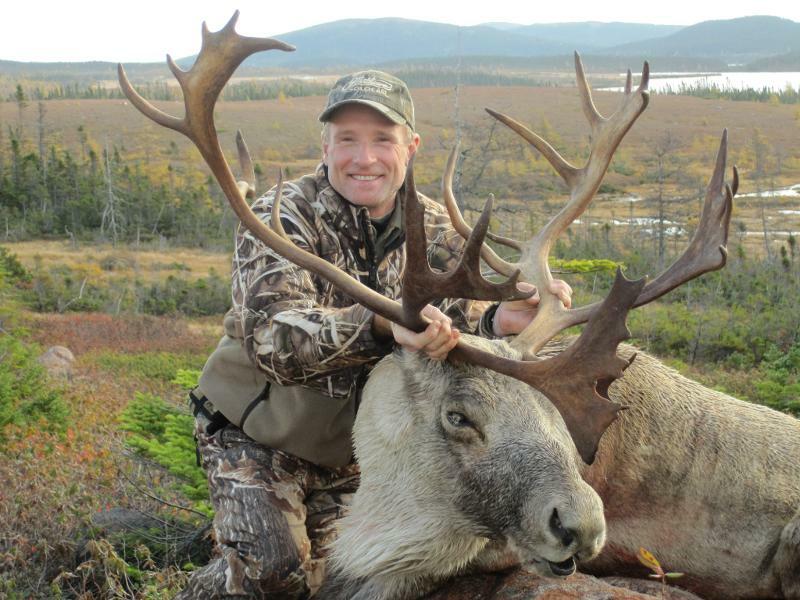 As noted, we are completely sold out of Woodland Caribou for 2012, so you really need to book your 2013 hunt now. The price is $6,150, and if you book now, the outfitter will include the non-resident license, which costs $450 Canadian + 13% HST. 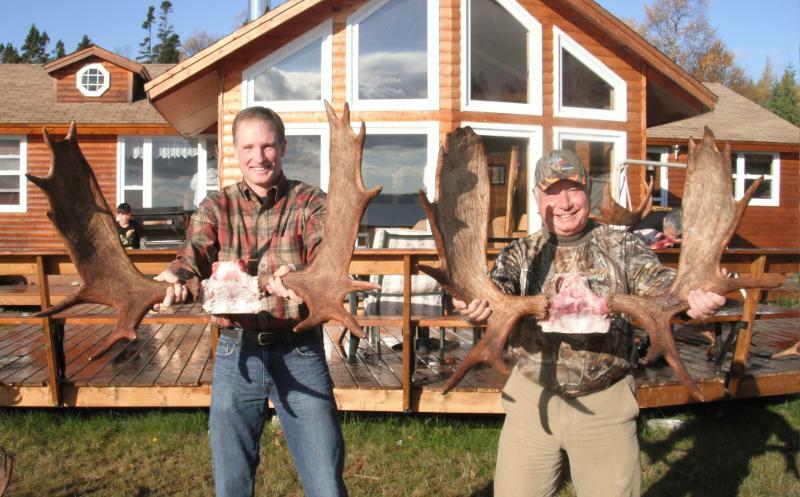 The 2013 season should be similar to this year's, which is September 10 to December 11, but the Caribou start dropping their antlers mid-November so the last hunt we will book for 2013 will be November 3 - 10. Since a combo hunt is no longer possible for 2012, now is the time to book the combo for 2013. 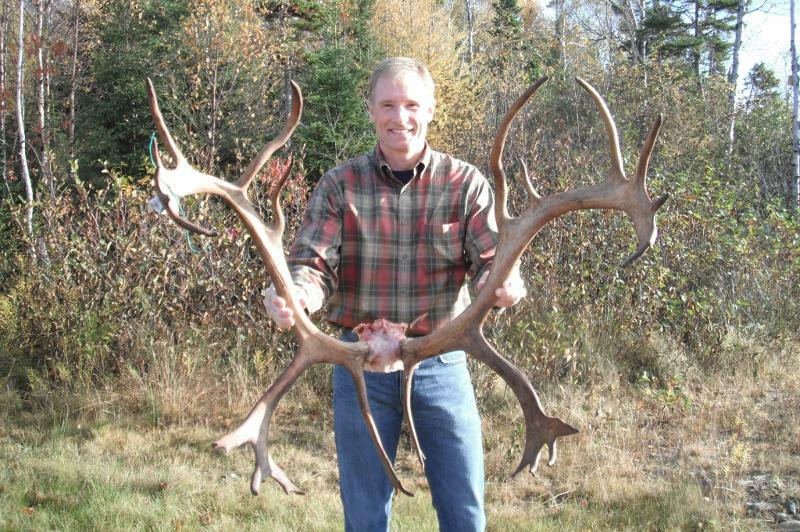 The price is only $8,850 and the outfitter tells me there is almost never a problem in both hunters each shooting good Caribou and good Moose in only one week of hunting. But if you want a 1x1 hunt for both, the price is still a remarkably low $9,950. For our chopper-in Moose hunts, you will stay in a tent camp. 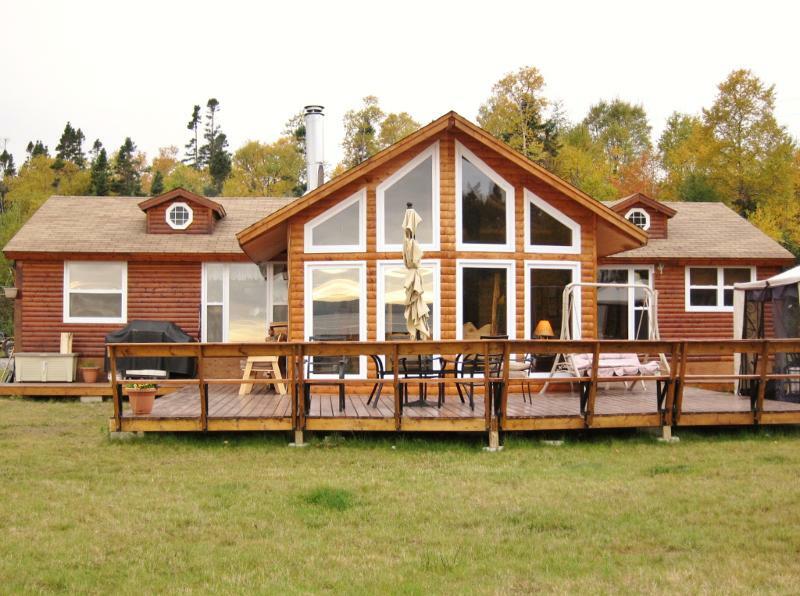 But for our Woodland Caribou hunts with prolific numbers of Moose in the same area, "camp" is luxury lodging by any hunting standard. In fact, couples and non-hunting spouses are encouraged to join in the fun with an observer fee of only $850 for the entire week. Lad Shunneson is in the middle of his billfish season (he's always in the middle of his billfish season) so call Ken Wilson at 830-792-4200 or email kwilson@ktc.com. You can book with a 50% deposit for 2012 or 25% for 2013 or 2014.